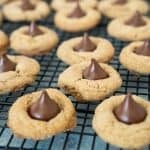 This is the best Peanut Butter Blossoms recipe out there! 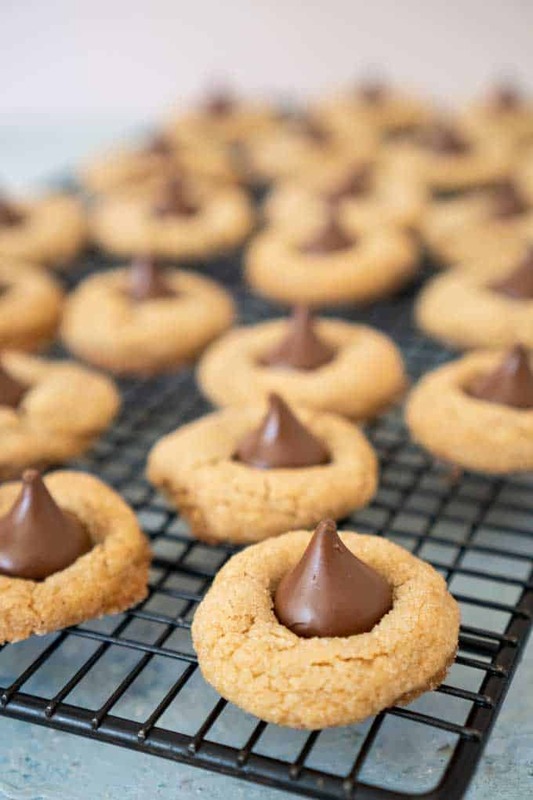 This classic Hershey Kiss cookie is no-fail and always a big hit, especially for gifting around the holidays! The elementary school that two of my sons attend is hosting a teacher appreciation lunch on Friday this week. I, of course, signed up to bring cookies, because I love to find any excuse to bake! Yesterday I shared the Coconut Macaroons I made and today I’m sharing what is seriously the very best Peanut Butter Blossom recipe out there. This is one of my favorite recipes to make because you literally cannot mess it up if you follow the directions, it turns out perfectly every time and they are always a HUGE hit! 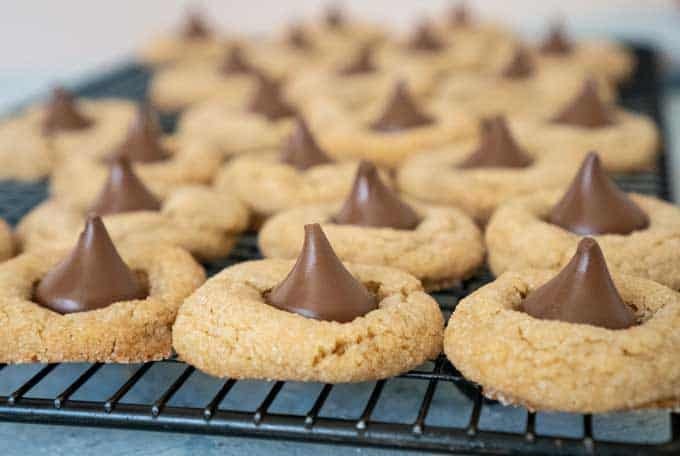 This is the best Peanut Butter Blossom recipe out there! This classic cookie is no-fail and always a big hit, especially for gifting around the holidays! In a large stand mixer bowl combine butter and sugar and mix on medium speed until blended. Add remaining ingredients except for Hershey kisses and sugar for rolling. Mix on medium speed until uniform. Use a tablespoon or cookie scoop to scoop out dough and roll into 1″ balls. Roll balls in sugar and place on prepared baking sheet. Bake for eight minutes. While cookies are baking unwrap Hershey Kisses. Immediately after removing cookies from oven place Hershey Kiss in the middle of each. Allow to cool five minutes before moving to cooling rack.